How to gain traction when you’re out of control.If you drive anywhere in the snow belt, you probably know the feeling: rear wheels fishtailing, steering useless, brakes ineffective—you’re out of control. The good news is, life doesn’t have to be like a car on ice. 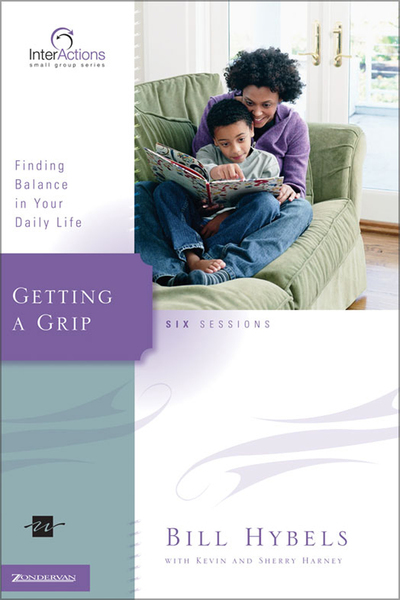 Bill Hybels offers biblical insights and practical steps to securing a Christ-centered life that will get you where you want to go.Getting a Grip guides you toward wise choices and disciplined action in five vital areas of your life: your time, your health, your finances, your spiritual life, and your relationships. As you learn what the Bible has to say about each of these, you’ll discover how able and eager Jesus is to help you obtain solid traction on the road of life.Interactions—a powerful and challenging tool for building deep relationships between you and your group members, and you and God. Interactions is far more than another group Bible study. It's a cutting-edge series designed to help small group participants develop into fully devoted followers of Christ.